The lovely Maya and I met up for coffee a couple months back and got to talking about how much we wanted to do a Midwest blogger get together. We might not be in New York City or L.A., but it's so great to have a common bond of loving fashion, design, or blogging with people across the Midwest. In efforts to network, highlight some of the great boutiques & design across our cities, and help cross-promote, we've formed the Midwest Style Bloggers network! I'm so excited to highlight our often underrated little corner of the US full of creative minds. We'd love to hold some blogger meet-ups! 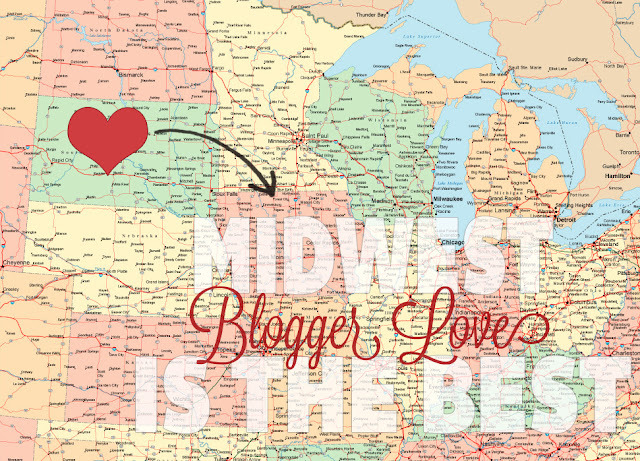 If you are blogging from the Midwest or know someone that is and want to get involved send us an email to MidwestStyleBloggers@gmail.com , visit the blog that we'll use to feature Midwest bloggers, and send me your pinterest name so I can add you to a collaborative board! Whether your passion is interiors, cooking, fashion, or entertaining-- we'd love to have you on board! Let me know your favorite Midwestern bloggers too so we can spread the word. Love love love this idea! You guys are awesome. Such a great idea - excited to be a part of this! Love love love this! Eeeeeks! Just sent you an email! Yay so excited I found this!